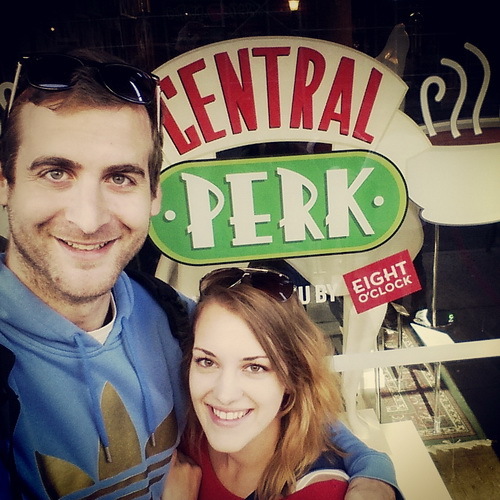 Like every die hard Friends fan, I couldn’t have been more excited when I learned that the opening of a pop-up replica of the Central Perk coffee shop coincided with our trip to New York in September. The real-life iconic hangout place opened in Soho on September 18 to celebrate the 20th anniversary of the famous sit-com. Me and my boyfriend (not nearly as excited as I was) came to the coffee shop 2 days after its opening. We were expecting to wait in line for at least 3 hours, so we came prepared: it was the first thing on our to do list that morning and we were armed with lots of coffee, but to our surprise, there was a queue of just 3 people in front of us. A week later, when wandering around Soho, we passed a queue that circled the whole building. 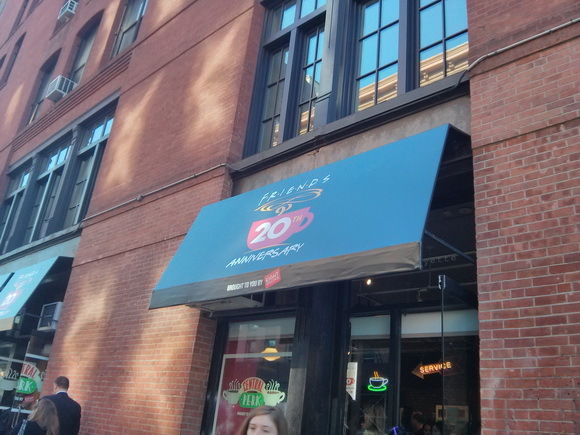 At first, we thought it was one of the lines for the new iPhone but it turned out it was the line for Central Perk. The first thing I noticed when entering was that the place isn’t an exact replica of the sit-com’s set: it’s more or less a museumlike coffee shop. It features the orange couch and they actually let you sit on it, which I didn’t dare to expect, but that’s about the only real similarity to the original coffee shop. 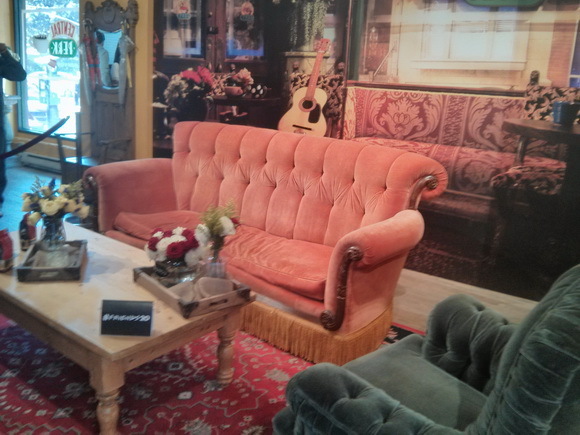 A huge photo of the actual set is placed behind the couch. When you sit on the couch the staff at the coffee shop takes your photo and you can access it for free later by going online with the coupon code you receive after the picture is taken. 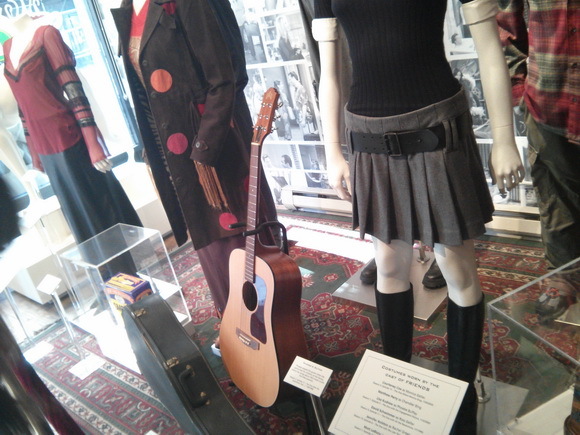 There was a lot of other memorabilia on display, such as Joey’s ceramic »Pat the dog«, Phoebe’s guitar, onscreen clothes and some notes the cast exchanged but weren’t seen on the show like Chandler’s and Monica’s wedding vows, their wedding invitations, Rachel’s sonogram etc. Sadly, we missed Gunther, the show’s blonde barista, who supposedly made some appearances, but we could still get the coffee. There was some Friends merchandise on sale, but there was more of it at the official NBC gift shop at 30 Rockefeller Plaza. Well there were more gifts but all the interesting Friends merch was sold out in a week after the opening of Central Perk. I’m still crying over a coffee mug with the Friends logo I had picked out. A lot of the fuss around the project can be attributed to the fact that many fans got to feel like they’re finally part of the Friends story. 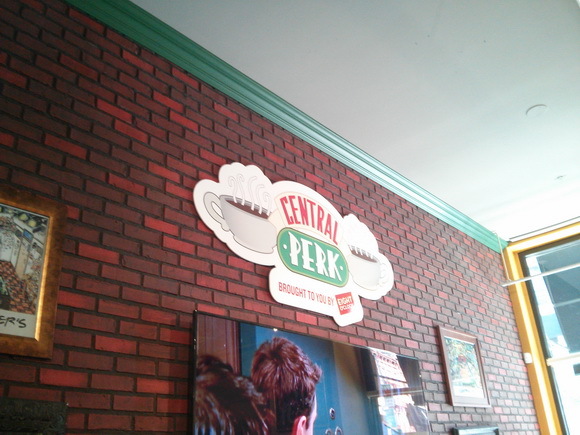 Unfortunately, Central Perk was a one month only project, but it feels like it could become a more permanent New York attraction. Friends was one of those TV shows that encapsulated the city’s vibe so well that the people from abroad learned to love it through the series. It makes a daunting big city feel more familiar and friendly, a place where you can just sit down on the couch and have a cup of coffee. 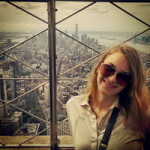 Urša Vidrih is a language and literature student of French and Russian. Unfortunately, due to the less than stellar TV production of both countries, she often resorts to American TV.